Dimensions : 95 h x 52 w x 45 d cm. 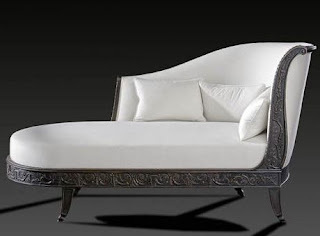 The charm and elegance of this reproduction furniture chair lie in the fine Rocaille carving, the perfect curves of the front legs and the rare horseshoe-shaped design of the seat. 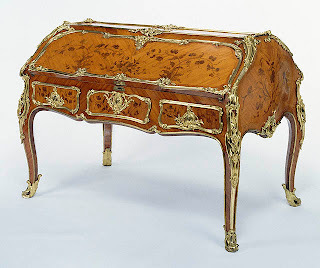 The back legs are formed on a single plane, with scrolled feet, strongly inspired by Louis XIV style, also reproduced on the rare works by Jean Gourdin . 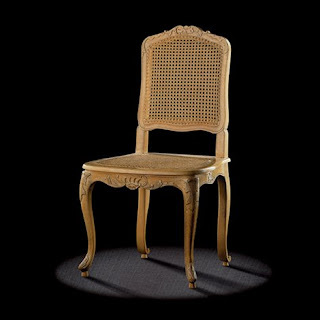 A fine Rocaille chair of this type belonged to the Baronness de Caix, at the Chateau du Hameau-Fleuri - France. The Gautier stamp may belong to François Gautier, a pre-1730 master of Rue de Clery, or to Jacques-Alexis, assumed to be his son, who lived at "La Croix d’Or" in the same street. A rare stamp, as there was very little marking before 1743.